In the first few days of diagnosing jaundice, a juice diet is the best option. Begin your day with a glass of warm water with lemon juice and have 4 to 5 glasses of juice daily. This should be accompanied by enough water and at least one glass of coconut water a day. 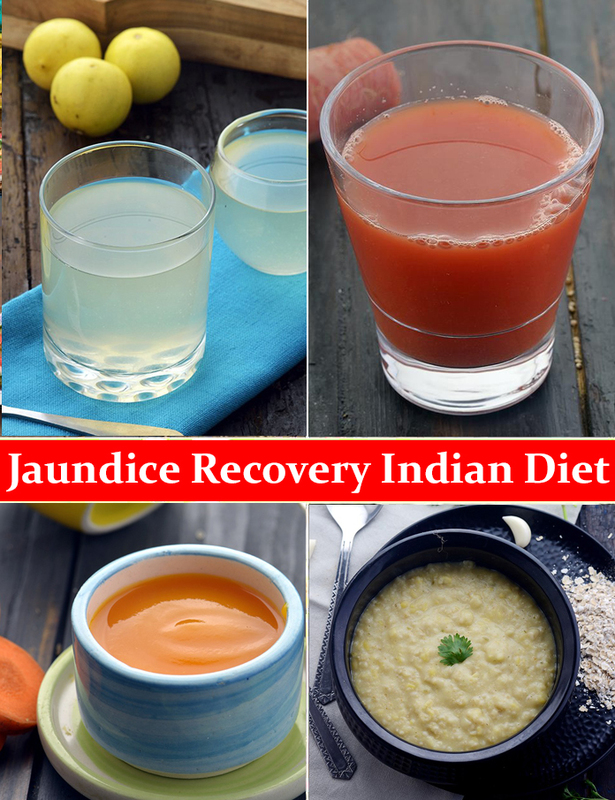 After following this for 3 to 5 days, depending on the severity of the condition, vegetable and fruit juice combos, thin dals and vegetable soups without any spice and fat can be introduced. Passed a week after diagnosis, depending on the severity of the condition, porridge using skim milk or low fat milk can be introduced once a day. Salads, plain biscuits, soft chapatis, non-spicy, less oily and soft-cooked subzis and non-spicy khichdis can be also be added slowly. Remember to have small and frequent meals in a day rather than 2 to 3 big meals. 1. High protein foods like non-vegetarian foods. If tolerated cooked scrambled eggs can be given. 2. Too much of fats like butter, ghee, oil, cream, mayonnaise etc. 3. Deep fried and shallow fried foods. 4. Fermented foods, nuts, soft drinks, ready to eat foods and alcohol. 5. Sweet items and desserts. Try recipes like Melon and Black Grape Juice, Carrot and Moong Dal Soup, Palak Masoor Dal, Moong Dal Khichdi etc.